The European Public Health Conference provides a place for representatives of public health associations to learn from the latest research and practice and to network with colleagues. 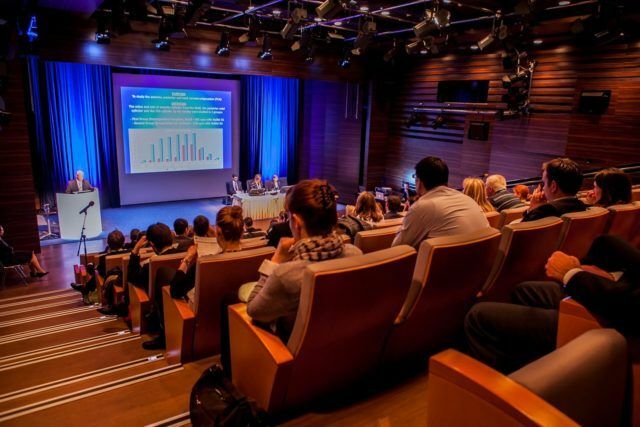 This year’s conference, titled ‘Winds of change: towards new ways of improving public health in Europe’ will be held in Ljubljana’s Cankarjev dom – Cultural and Congress Centre. It is expected to gather around 1500 delegates and it is, thus, considered to be on of the largest conferences in Slovenia 2018. The 11th EPH conference, organised by the European Public Health Conference Foundation, the European Public Health Association (EUPHA) and the Slovenian National Institute of Public Health (NIJZ), is under the honorary patronage of His Excellency Mr Borut Pahor, President of the Republic of Slovenia. The official Opening Ceremony inside Cankarjev dom will include prominent opinion leaders and policymakers from Slovenia who will introduce the main themes of the conference. The keynote speakers will be Violeta Bulc, European Commissioner for Transport, Vytenis Andriukaitis, European Commissioner for Health and Food Safety, and Tomo Križnar, human rights activist, documentary filmmaker, journalist, and worldwide traveler from Slovenia. All of these initiatives are in line with Ljubljana’s and Cankarjev dom’s missions of contributing to a sustainable and green future. Cankarjev dom has adopted a green policy and energy-saving measures and has integrated new, environmentally-friendly technologies and materials. As a contribution to increasing Ljubljana’s biodiversity, for example, beehives have been installed on the building’s rooftop. Approx. 150,000 buzzing Carniola bees have been pollinating city plants and providing honey as a unique CD product.